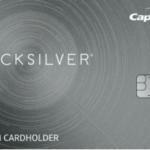 Capital One Quicksilver Worth It? Balance transfer and cash advance fees are reasonable. 0% APR for 15 months is very good opportunity. You will not pay interest rate for purchases and balance transfers. There is no annual fee for Capital One Quicksilver. There is no foreign transaction fee for the card. There are good benefits of the card for travel. $150 is not very attractive bonus. You can find detailed review on Capital One Quicksilver for each features of the card. You can see interest rates, fees, rewards, sign up bonuses and all features of the card below. Introductory APR: 0% APR for 15 months for Purchase and Balance Transfer. Minimum APR and maximum APR is high for this card. We believe the current bonus amount is not good and rewards are not also enough to compensate it. However since there is not APR for 15 months, this can be also a good advantage for you. If you are planning to Cash Advance with this card regularly, we don’t recommend this card at all. 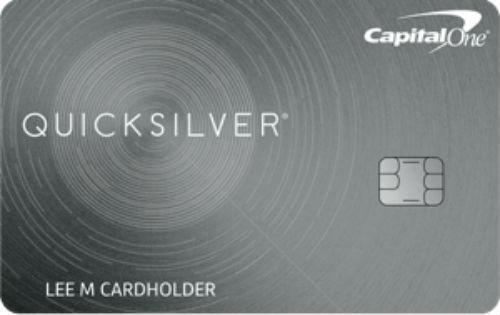 If you are looking for a card with good cash back rates and No APR, you can still consider about Capital One Quicksilver though. 15 months no APR is quite good opportunity for consumers. Capital One Quicksilver will provide $150 cash bonus to you just after you spend $500. There is also 1.5% cash back for every purchases. 1.5% is not a good rate for this card. $150 dollars cash back is not also very attractive. Some similar rewards card are much beneficial than this. There is no annual fee of the card which is a good opportunity for consumers. There is also no foreign transaction fees. Cash Advance fee and balance transfer fee of the card is very reasonable. Despite of low bonuses and cash backs, Capital One Quicksilver still considerable because 15 months no APR, no foreign transaction fee, no annual fee and other low fees. You can also find much better cards at this category. You can see rates and fees of of the card below. Regular: 16.24%, 21,24% or 25.24% 1.5% unlimited cash back on every purchases.